We are small in numbers but large in experience. 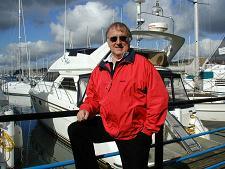 Our Senior Consultant has over 25 years experience in the marine leisure business. Apart from a number of years as a Navigating Officer in the Merchant Navy, he owned and ran a successful Yacht Sales and Charter Company for 14 years, selling out to a large public company and then continued to run it for a further 5 years very successfully. During that time SuperYachts International, Marine Consultants was incorporated. We are very proud of our employment record. Most of our staff have been with us since the company was formed 15 years ago, so have a wealth of their own experience.